A Message for Christmas and Beyond in Maya Angelou’s "Amazing Peace"
Image courtesy of the Goldstar site. While Christmas has come and gone, the message in Maya Angelou’s “Amazing Peace: A Christmas Poem” is one for all seasons. Angelou’s poem, with its vivid imagery and hopeful, moving tone, is one of community, inclusion, and harmony. Angelou highlights the wonder and beauty of the holiday season and the universal feelings of trust, hope, kindness, forgiveness, and peace that overcome us this time of year. Given these times of social and political unrest, there is an urging for the spirit of the holiday season to extend beyond this brief period. There is a dire need for amazing peace all year round. What better time than now to commit ourselves to “[celebrating] the promise of Peace” today and everyday? 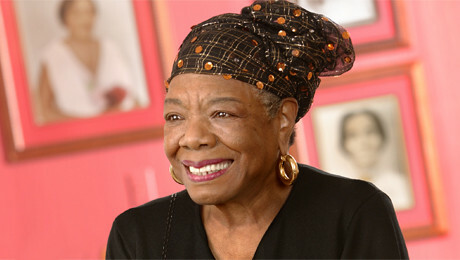 Maya Angelou’s “Amazing Peace: A Christmas Poem” can be read in full on Oprah.com. This entry was posted in Amazing Peace, Maya Angelou, Poetry by BuddahDesmond611. Bookmark the permalink.